IMPORTANT: True color may look a little different than pictures due to dye lots, photography and monitor settings, this is totally out of my hands and I can't guarantee the shade to be exactly as picture. Refer to image #3. 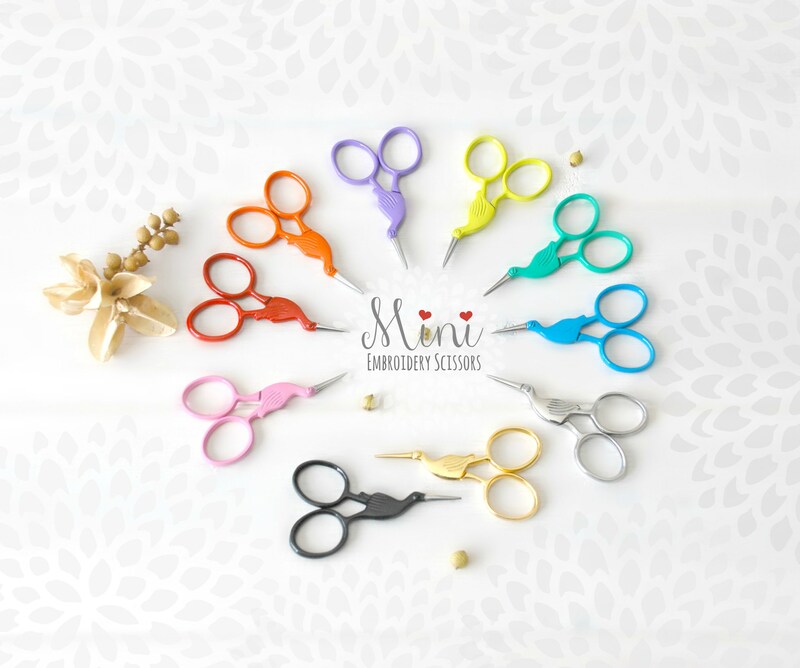 Super cute and mini, these extra small scissors were designed by Kelmscott Design specially for embroidery! 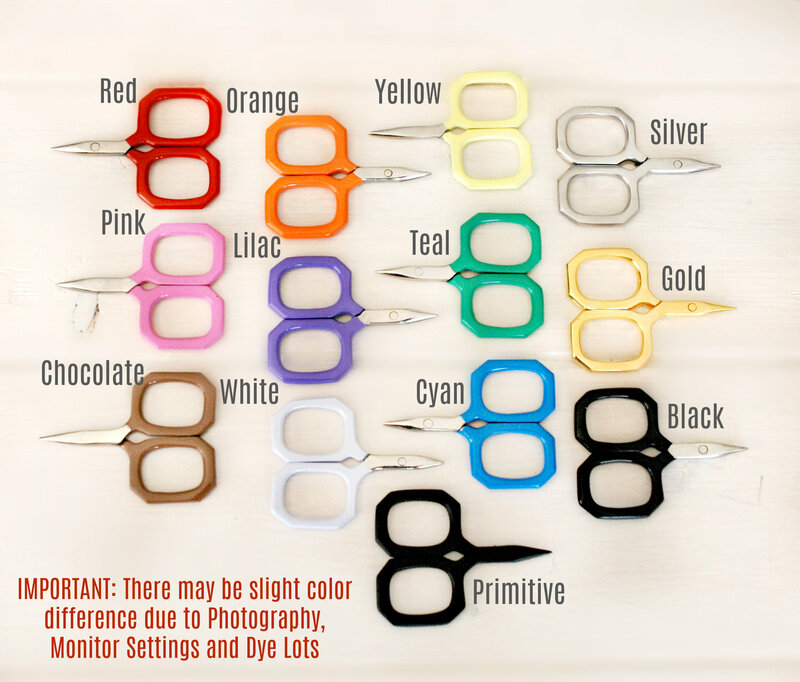 These scissors have sharp blades and are available in 13 colors. The small and pointy end gets to those tiny spaces!! 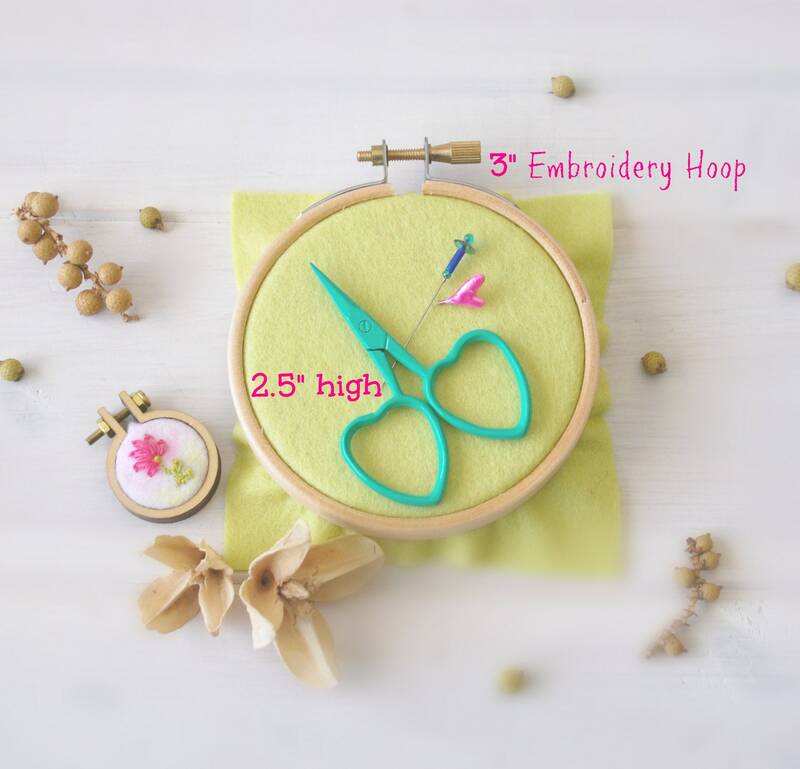 I have used these to cut very small wool felt appliques for my hoop art and embroidery and just love them!! Yes, you can also use these to cut Crafty's wool felt! 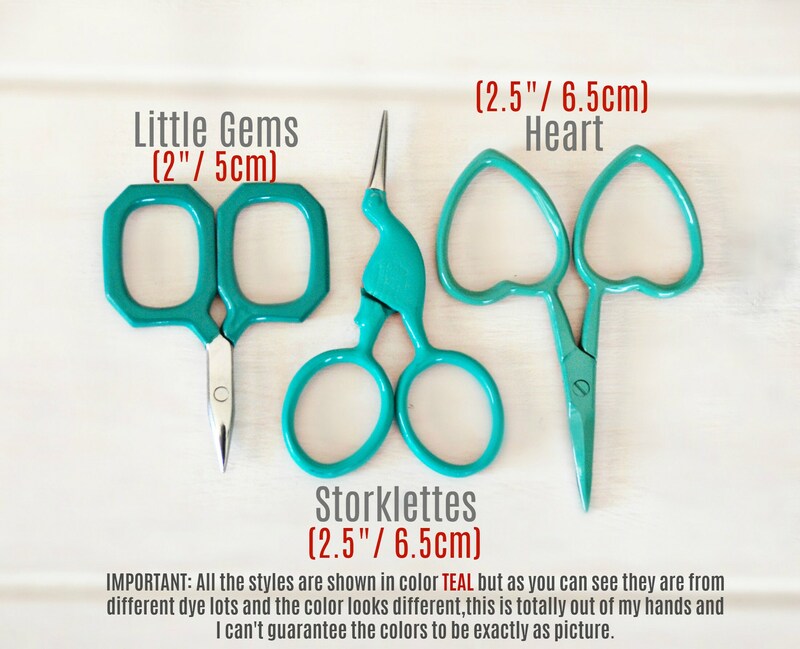 You will get 1 pairs of scissors of your choice. Love these teeny tiny scissors! Great quality snips. I ordered an embroidery project and needed a couple tools! The package arrived super fast and these tiny scissors are so sweet! They are perfect. Cute scissors. The item was shipped quickly and wrapped nicely.